If you’re anything like me you love easy decorations for Valentine’s Day. But, easy is just one part. New, interesting and unique, too. Life is getting too hectic to hang all the boring old decorations that have packed away. Well, I’ve found some fun new ideas. 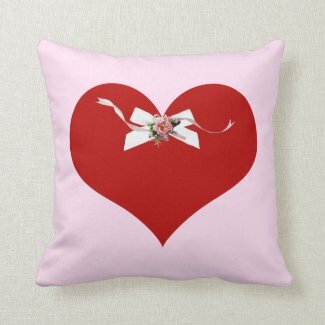 Valentine’s wall decals and romantic decorative pillows. Not only easy, but new and inexpensive to boot! That’s a great part of easy decorating for Valentine’s Day. We want the good stuff, but we sure don’t want to spend lots for just one day during the year. Valentine’s wall decals just peel off their backing, then press on your walls, furniture or any smooth surface. No glue or nails needed, then they peel off easily so you can rearrange all you want to. Once you have your wall decals for Valentine’s Day arranged, toss a romantic decorative pillow or two onto your couch, chair or bed. There you have it. Easy Valentine’s Day decorating. Brand new ideas that won’t bust your budget. OK, I have been told I’m a bit crazy to decorate for every holiday. In my view, that’s just part of the fun. I like to start in early February. No, I don’t move right from Christmas. So yes, my home looks boring for a bit. But, then comes the easy decorations for Valentine’s Day. A few well placed items around the house, maybe a nice setting in the kitchen and I’m all set. Whether your decorating is for a romantic dinner for two, your kids fun at celebrating or just because, easy decorating for Valentine’s Day is a must now days. My own grandgirls will be joining me for a little Valentine’s party, so I’m enjoying getting my new decorations all set for them. Dessert will, of course, be Gramma’s fun cupcakes decorated for the holiday. Don’t forget to enjoy your own holiday traditions, create new ones or just do your own thing. Holidays are about celebrating. So enjoy easy decorations for Valentine’s Day. Awesome, easy and affordable ideas here for Valentine’s Day decorating! I love easy anytime but the wall decals and decorative pillows will make the room(s) look festive without killing the budget! Great suggestions, Susan! ROFLOL!!! I love that frog pillow! I usually prefer more elegantly romantic valentines, but he is adorable!